Wash your hands with soap and water before touching your lenses. Every time. Take out your lenses before falling asleep. The exception, the CDC experts say, is if your eye doctor has told you to do otherwise. Keep your lenses water-free. Don’t shower, swim or use a hot tub while wearing them. Never store them in water. Clean them the right way. Never use water or saliva. 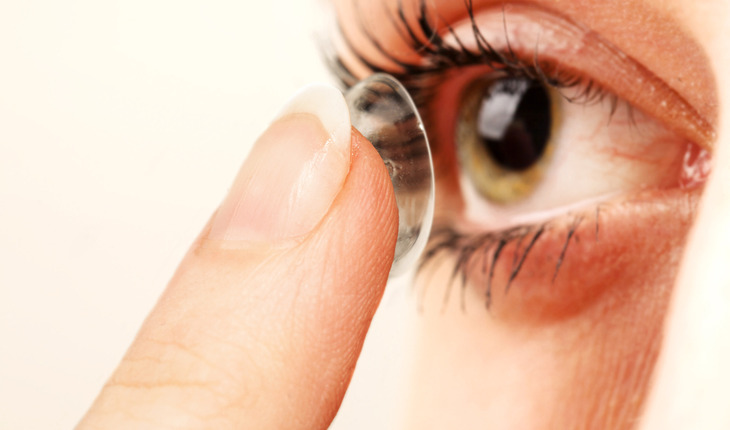 Instead, the CDC advises that you rub and rinse your contact lenses with contact lens disinfecting solution. Do that every time you remove your lenses. Follow your doctor’s directions about how often you should replace your lenses. Clean your case in the same way you clean your lenses. Rub and rinse your contact lens case with contact lens solution, not water. Empty and dry with a clean tissue. The CDC also recommends storing the case upside down with the caps off after each use. Replace your case at least every three months. Never mix old with new solution, the CDC says. Use only fresh solution in your case, and use only the solution recommended by your doctor. Visit your eye doctor regularly, as often as he or she recommends. If you’re not sure about how to care for your lenses or case, ask your doctor. If you have eye pain, discomfort or blurred vision, the CDC experts say that you should remove your lenses right away and call your doctor. Carry a pair of glasses in case you have to take out your lenses for any reason. For more health and safety information, visit http://www.cdc.gov/features.